Playboost Review and demo video of Playboost in action. A very extensive bonus package to compliment Playboost and help with conversions. 2 Why is There a Need For Playboost? 2.1 Playboost Review – So What Can It Actually Do? 2.4 Why Does Playboost Work So Well? 2.5 Playboost Review – What Does It Cost? Welcome to my Playboost Review. In this blog post I will cover exactly what this product is, who it’s for, and how to use it in your business. For the first time ever, you can create animated thumbnails and get rid of those old boring bright played out annoying attention grabbers. Why is There a Need For Playboost? In short, Playboost is a software that adds more user interaction into you already made videos. If you have YouTube or Vimeo videos that you host or embed on your website, half the battle is over. The software is designed like an upgraded embed code that once you login to the dashboard and enter your video url you’re good to go. Here are the video sites currently support; YouTube, Vimeo, Wistia, Vidello and Amazon s3. They will be adding more video sources after the initial launch. Very recently, Chrome web browser stop allowing you to auto play videos, and YouTube did the same with their embed code. As of now, you can not chose to auto play any videos when a visitor lands on your website. You have to completely rely on the end user to “click play”. Since this update in Chrome, video views have dropped tremendously. Especially since the new click to play icon on the top right corner of the video looks like trash. If you’re currently doing video marketing you’ve definitely seen a major or at least noticeable drop in your video views. This is one thing I admire about Mario Brown, he see’s a problem and quickly creates a solution. This is why I created this Playboost Review. If you’re not familiar with Mario, no worries – he is the creator of Playboost and many useful marketing solutions. So to make things simple and easier to understand, watch this quick demo below to see Playboost in action and how this may be the solution to our problem as video marketers. Pretty cool stuff huh? 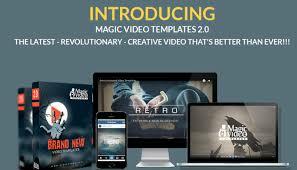 I hope you watched the entire video to give you a better idea of how this software can help us as video marketers. Playboost Review – So What Can It Actually Do? Is Playboost really this important, and can you fix this solution by yourself? Yes to both parts of that questions. You can chose option B and hire a developer to force play your videos on your website. But here’s the problem… Google gets majority of website traffic as a search engine. If Google sees a problem they try to create a better experience for the end user. If you go with option B and force auto play, Google will see your website as not giving the end user the best experience possible. Google doesn’t feel like you should force your viewers to watch your videos. Either they are interested in what you have to offer or they’re not. If you’re looking for a cheaper software or a competitor quite frankly there isn’t one. That’s a good thing and a bad thing. I’ll explain below. As I said directly above, Playboost is one of a kind, completely new and innovative. Innovation has it setbacks unfortunately. The biggest con with Playboost is it hasn’t been completely tested. Don’t get me wrong, I’m not knocking the creators Mario Brown and Brad Stevens by any means. Just being realistic. The biggest issue I would say that crosses my mind would be WordPress. Integrating all that fancy code and adding a WordPress plugin will definitely cause a few bugs. So not to bash Playboost as I feel it’s a viable solution, just keep in mind that based on what plugins you’re using on your website if you use WordPress of course, you fill find some plugin conflicts. Just to be safe, if this happens, simply disable all of your plugins except for Playboost and re-activate them one by one until your find the problem. Then send in a support ticket with the conflict plugin and they should have it fix. No need to panic, more of an FYI, there will be bugs as any new software gets released. Just be patient and I’m certain Mario and Brad will find a prompt solution. But the good news is the wp plugin isn’t necessary, it’s just an enhancement to make it easier. The software is more of an iframe embed code. Why Does Playboost Work So Well? The main reason Playboost is the perfect solution is simple. In this day and age social media is king. Everyone has some form of social account, whether it be business or personal. That being said, Google considers your site to be quality based on how the user interacts with it. Playboost is completely customizable. You can change what the call to action says, and you can add an array of icons to your video. You can change the color schemes to get the end user to click here or there or anywhere. Playboost Review – What Does It Cost? Playboost Unlimited License ($27 Early Bird) The the price increases everyday by $1, then the 4th day which is closing of launch it’s $37. So move fast! Text-to-Speech Technology: Imagine being able to upload a custom voice-over telling your website visitors to un-mute the video. You’ll be able to capture attention using visual and audio effects. Or use any of the integrated voices and just type what you want the voice to say! A/B Split-Testing: You can split-test your video campaigns to make sure they’re getting the reaction and response from your incoming traffic. 20 Premium Done-for-You Templates: You get access to a library of 20 premium templates hand-crafted by the best professional designers. Simply plug and play or you can choose to edit and customize the designs. Extra Premium Animations: You will get extra premium animations that you can apply to any additional elements you add to your campaigns. Extra Premium Overlays: You also get extra premium overlays backdrops for your campaigns. Designed to demand your viewers attention. Extra Premium Fonts: You get extra Call-to-actions premium fonts to help you increase results from their crystal clear text and beauty. Extra Play Button Templates: The play button is the center of each and every video, and it’s where your visitors’ eyes will go before they click ‘play’. We’ve created (custom) extra play button templates that makes standing out easy. Pro Analytics: Inside of the pro version, you get the exact analytics you need to make changes and adjustments to poor performing videos. The agency package will give you the option to use Playboost on your client sites (full agency rights). It also comes with an easy to use client management dashboard so you can easily add, delete and manage client campaigns. You could choose 100 license or 500 license package if you decide to resell Playboost. This gives you your very own admin panel where you can customize your branding, manage your users, add your own domain and much more. The lead toolkit allows you to be able to collect leads directly from your videos! One of my favorite options in video marketing Using the ‘lead toolkit’, you’ll be able to lock your videos from playing (at any time) until the visitor enters their email address or subscribes as a Messenger subscriber of your Facebook page. So you have the option of collecting 2 types of leads from your videos. Pretty cool feature. White label rights will be included also so your customers can leverage this technology as a consumer and as a vendor to generate sales. Thank you for checking out my Playboost Review. If you wish to claim the bonuses above, all you have to do is purchase through my affiliate link below.